Jose Ubilla, owner/founder of Real Stone & Granite has played a major role in creating monuments for our armed forces. He has created all of the monuments at Veterans Memorial Park in Port St. Lucie and others throughout the state. 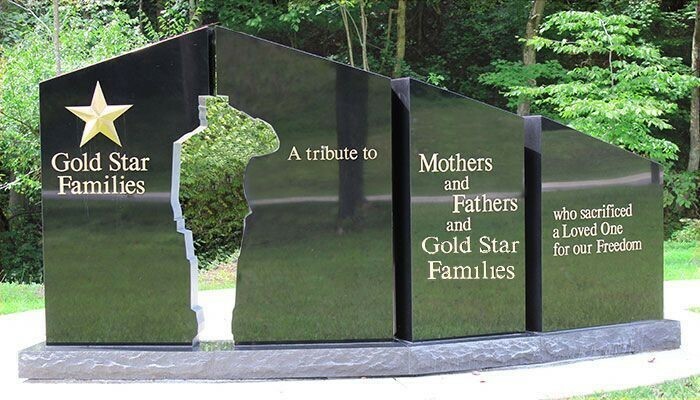 Including a monument for the Gold Star Families that was dedicated in 2016. Recently, he was asked to create another monument for Palm Beach County Gold Star Families in West Palm Beach. The monument honors families who have lost a loved one in the service of our country. It will be located downtown at Trinity Park on Flagler Drive. The groundbreaking was held in February with the dedication expected this September. Lauren Berkson of Riviera Beach is spearheading the project. Berkson’s father died in Vietnam when she was 10-months-old. The monument will be 7 feet high and 13 feet wide with a flag pole when it’s built. The Hershel Woody Williams Medal of Honor Education Foundation builds memorials honoring Gold Star families and agreed to help bring a memorial to West Palm Beach. US Marine Hershel Woody Williams is the last surviving Medal of Honor recipient from Iwo Jima. 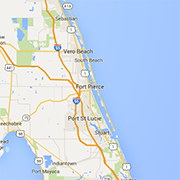 Real Stone & Granite is located on South Market Avenue in Ft. Pierce. They are the area’s top custom fabricator of granite and marble. They have created virtually all of the Veteran Monuments in St. Lucie County and many others around the state as well. For more information, please call (772) 489-9964 or visit online at realstoneandgranite.com.